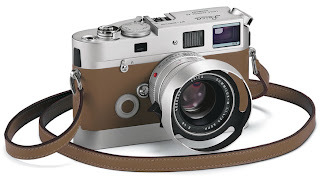 Leica just announced a recent collaboration on a very limited edition 35mm Camera with Paris based fashion house Hermes. The camera comes wrapped in Hermes calfskin leather in orange and etoupe, but both color editions have been limited to 100 pieces. Each one is numbered 1-200 and also comes with a matching handcrafted Hermes leather carrying strap. 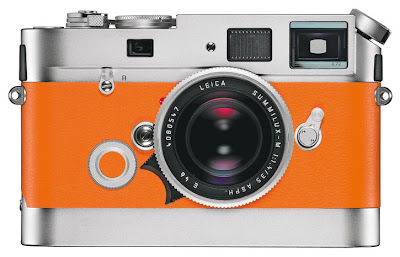 The Leica/Hermes M7 edition will be available in December 2009.